As the weather warms up around the country, keeping our dogs cool and comfortable becomes a priority. 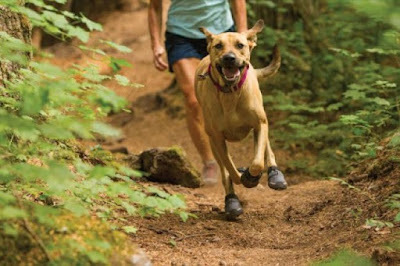 Before you hit the great outdoors you'll need to prepare so we sniffed out some summertime essentials for your dog. Furguards by Surf Dog Australia are UV Rashies for dogs. They make a great looking T-shirt but they're also packed with features like a UV rating of 50+ to protect your dogs this summer. These Lycra Rashguards can be worn at the beach or during surfing competitions and the high visibility will help you spot your dog out in the waves. They can also be used to protect post surgical dogs from chewing their stitches. They help reduce the sand take up in your dog’s coat to keep their fur clean. Go for a tight fit as the fabric will stretch for comfort. Quick drying and easy to wash. Available in 4 sizes (from XSmall to Large). 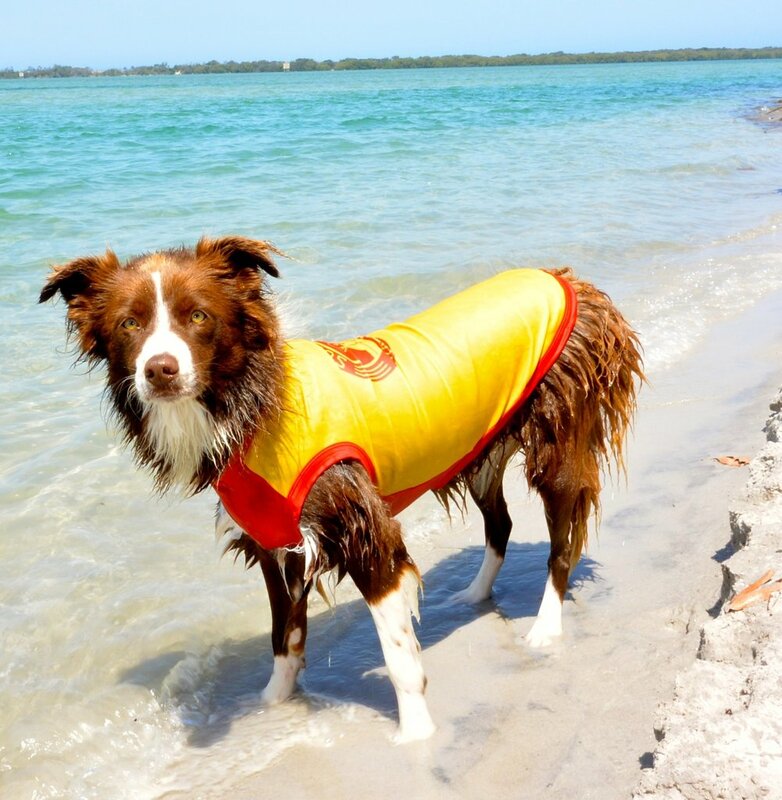 Keep your beach-loving pooch cool and protected from harmful UV rays with the new EzyDog Rashies. The Rashie Shirt is crafted from the same material and stitching as the protective shirts originally worn by surfers. 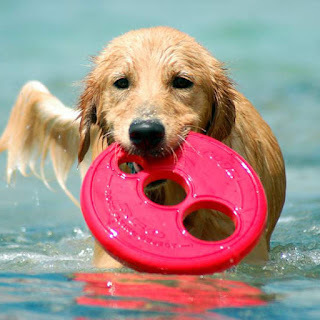 It helps protect your dog from sunburn and rash while enjoying water fun. 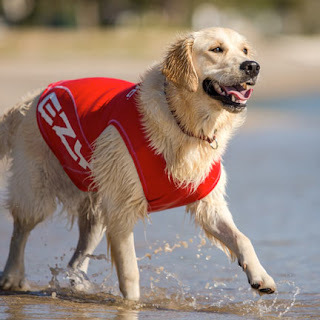 It boasts highly visible red Lycra with a fitted design and flatlock stitching so now your dog can ride the waves in style! They're designed for all-day water use. Animals that have light coloured noses, thin or missing fur, or that just like to sunbake upside down exposing their bellies, are most in need of sun protection. 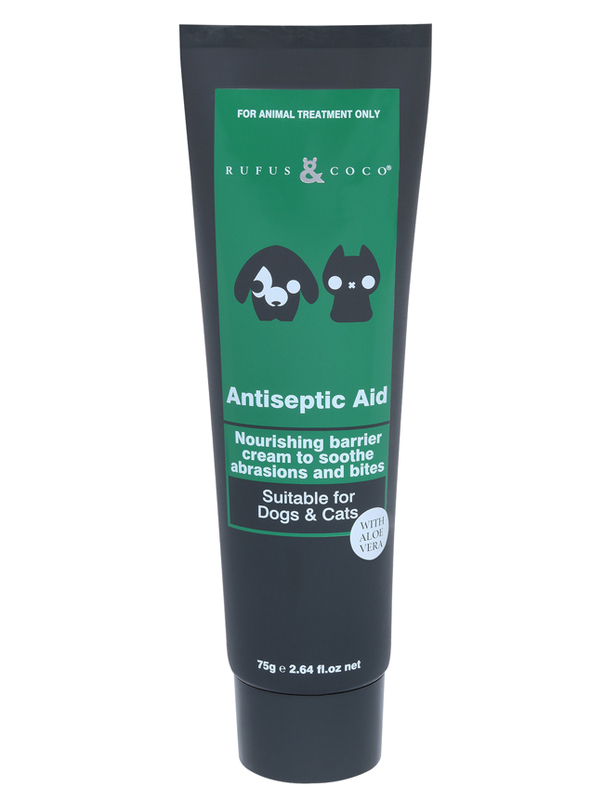 This natural Zinc-free sun cream by Dr Zoo can be used on dogs but also cats and horses that are exposed to the sun. Using edible oils along with Titanium Dioxide - to provide sun protection, an alternative to Zinc which is toxic for pets when consumed in large quantities. Apply to the nose, ear tips, skin surrounding the lips, and any area where skin is exposed to the sun, particularly pink skinned areas. Remember to re-apply after swimming. The Hedz UP Watercollar is a life preserver for dogs that is a collar and not a life jacket. The Watercollar protects dogs the same way a human Personal Flotation Device (PFD) protects humans. This Watercollar was engineered using the same high standards established by the US Coast Guard as the flotation requirements for humans. If your dog should become exhausted or even unconscious, the Watercollar will hold him in a position of safety, keeping his nose well above the water. 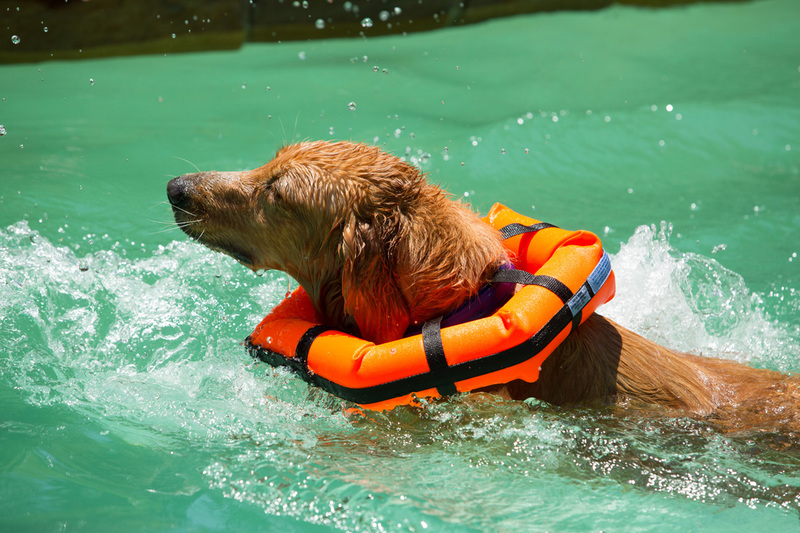 Most life jackets for dogs may not protect your dog from drowning as they're designed to hold the dog in a swimming position. 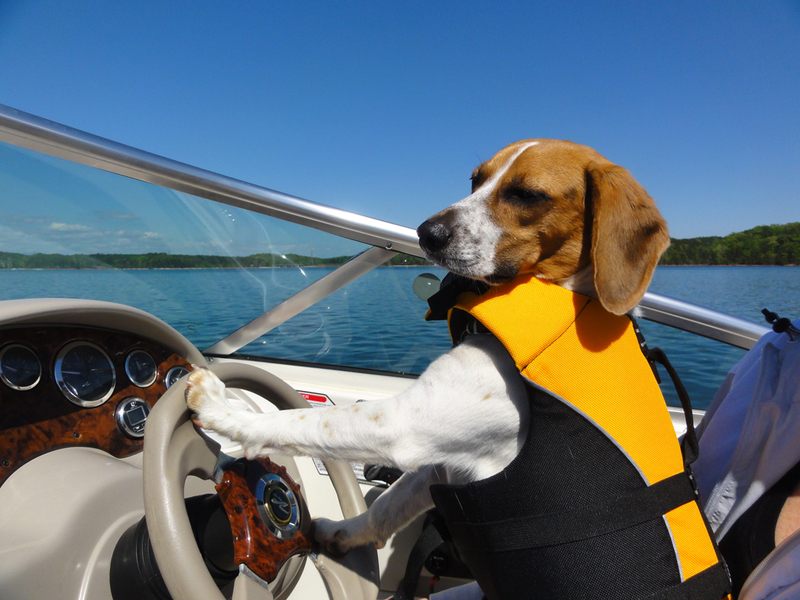 If a dog wearing a life jacket becomes injured, or worse unconscious, his head will drop into the water. These watercollars are available in ten sizes to fit dogs from 1.3kg to 90kg. These Summit Trex dog boots by Ruffwear provide everyday protection for your dog’s paws from hot bitumen or concrete footpaths during summer but also from thorns, broken glass and other sharp objects found on your adventure walks! They are also great for dogs who suffer from contact allergies as this allows them to walk safely on grass. The non-marking outsole provides flexible traction whilst an integrated stretch gaiter will protect legs and lock out dirt and debris. The reflective trim provides enhanced visibility in low light. These boots come in 8 sizes (from 38mm up to 83mm) and two colours: Burnt Orange and Storm Gray. Check out this video to measure your dog’s paws and find the right sized boots. Gardeners have known for years that if you put marigolds in your garden, you get rid of insects. The EQyss Premier Marigold Spray uses an effective shield of botanical extracts to create a physical barrier to flies and mosquitoes. 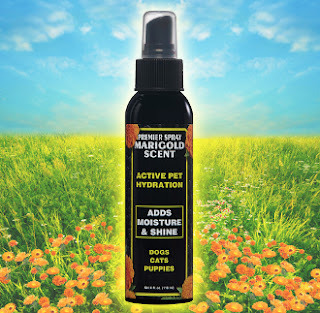 This moisturising spray uses a unique blend of ingredients that adds intense moisture to your pet’s coat without leaving a residue. It can be used daily, especially after you bathe or brush your pet. It repels dust and dirt and also helps control pet odours. 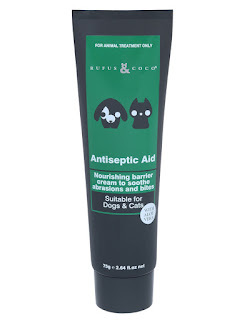 The Rufus & Coco Antiseptic Aid for dogs and cats is a professionally formulated nourishing barrier cream, fortified with Vitamin E and Aloe Vera to soothe abrasions and bites. It nourishes dry or sensitive skin but also provides a comforting barrier against irritation and contamination.It also helps calm insect bites. It can be used on both dogs and cats. Keep your dog cool this summer to avoid heat stress and fatigue with the TechNiche HyperKewl™ Evaporative Cooling Dog Coat. Simply activate by soaking in water for 1-2 minutes before use and then squeezing the excess water out. This coat can provide up to 5-10 hours of cooling relief per soaking, dependent on the ambient temperature. It is lightweight, comfortable and durable. The flexible shoulder panels will allow your dog to move without restriction. 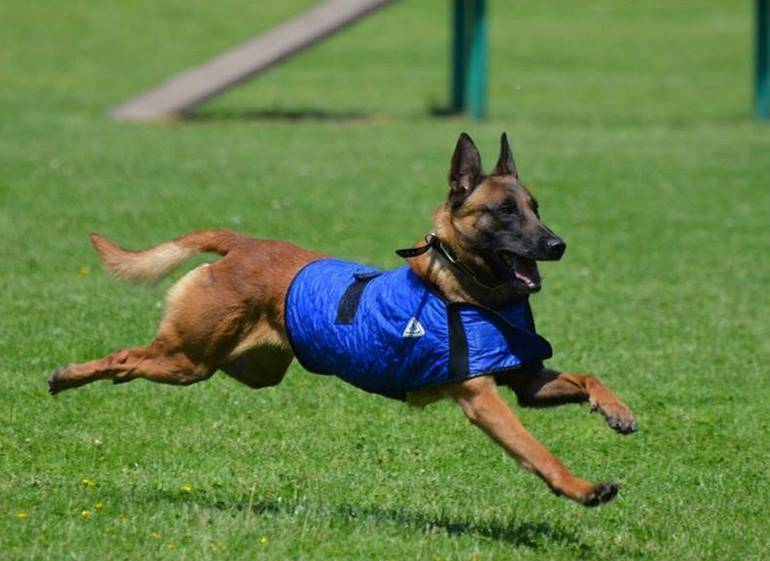 Secured at the chest and under the belly, this unique vest keeps your dog cool on hot days whilst he runs and plays. It comes in 5 sizes (XS, S, M, L, XL, XXL) and 2 colours (Blue, Silver). 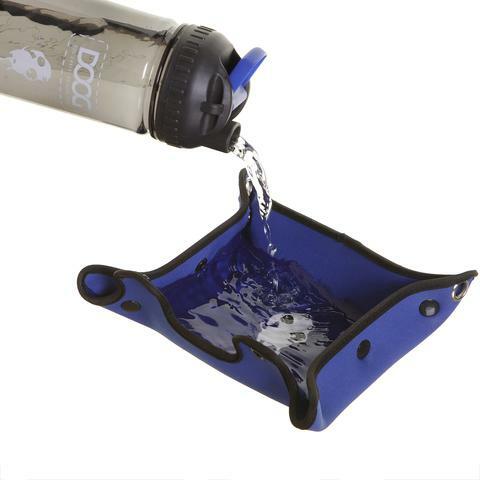 This ingeniously designed water bottle and dog bowl in one by DOOG means you can carry water for yourself and share it with your dog by using the dog bowl whilst out on your walk. It keeps the water insulated and cool at the same time with the wrap around bowl. Simply unwrap the bowl (made from insulated neoprene) from around the bottle, construct the bowl when your dog gets thirsty and pour water from the bottle into his bowl. The inside of the bowl has a waterproof lining. The bottle holds 600ml of water and the bowl holds 300ml. Available in Blue or Red. 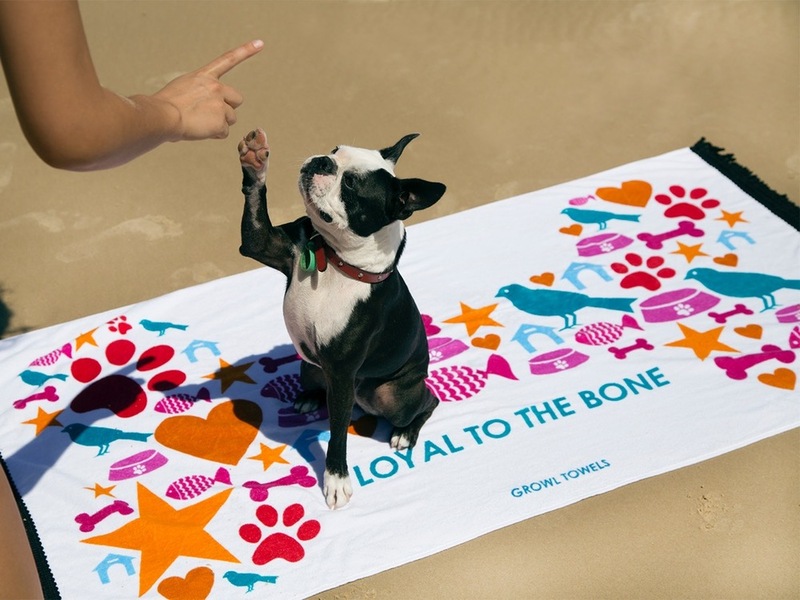 This fun beach towel is so versatile that both you and your dog may have to toss a coin to decide who gets to use it next time you’re at the beach! The colourful “Loyal to the Bone” design appears on the velour side so it is cosy on the skin with terry on the reverse side for quick drying off. Designed in Australia by Growl Towels for repeated use wherever you may be. Made from 100% cotton with black fringes on both ends, this beach towel measures 140cm (length) x 75cm (width). The Rogz RFO Frisbee is a special dog frisbee made from SST-Foam. This stands for Soft Safe Technology because the material used is durable but soft so it doesn't damage your dog's teeth and gums. It is incredibly lightweight making it easy to throw and the snout holes mean it's easy for your pooch to pick up off the ground. The bright colours make the Frisbee easy to spot. It will float on water for fun at the beach or lake. Please note this is neither a chew toy or a tug toy and your dog should be supervised at all times when playing. Size: 23cm. Available in Pink, Red, Orange, Blue and Lime. The Chuckit! 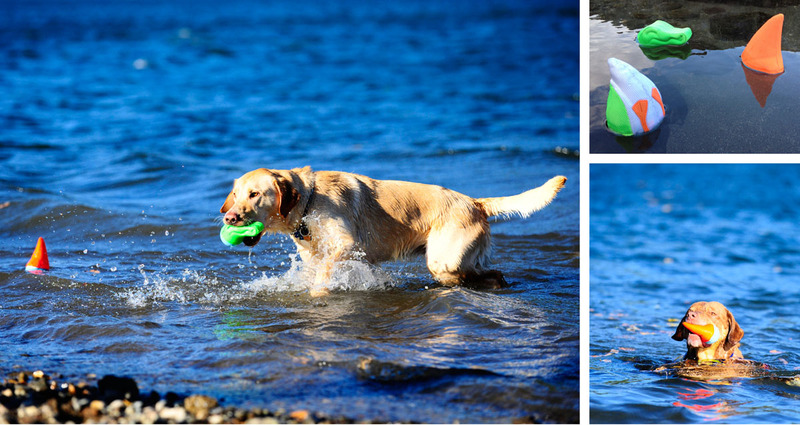 Amphibious range is a standout among dog toys and are designed for exceptional visibility and performance in water and on land. Each brightly coloured style floats, will sail through the air with ease, and is easy on the dog's mouth. These feature self-righting technology for high visibility. When thrown, either on land or in water, the Shark Fin will ‘self correct’ so it bolts upright showing the fin in the air. The Shark is vibrant and designed for high visibility and high performance. Size: Large (15cm) and it comes in Green or Orange. Made from the special Zogoflex material, this toy is extremely versatile and pliable and it is meant to be used as a play tug. With an innovative “S” shape that flexes out to twice its length, Būmi® will add a fun twist to your fetch and tug-o-war games. In addition to helping dogs get a great work out, this floatable active toy exercises your dog’s sense of fun and it makes a great companion for any trip to the park or water. Its design makes the toy fly far and is easy for dogs to carry in their mouths. 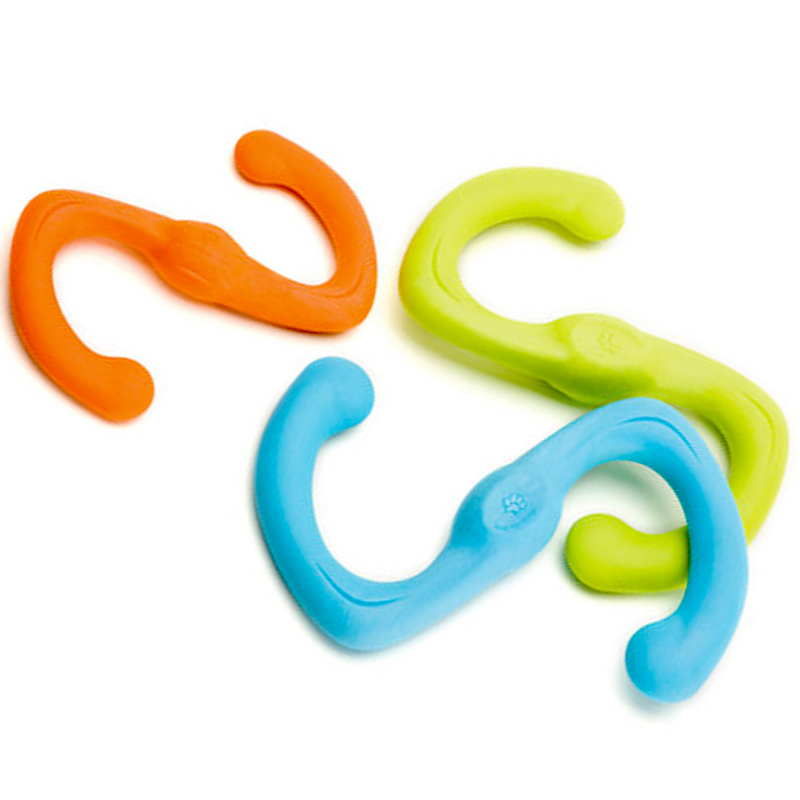 As with all the Zogoflex toys by Westpaw, these toys are so tough that they come with a complete one time replacement guarantee if it does not stand up to your doggy destruction. Hugs Hydro ball is a freezable, water soaking rubber ball. Not just a fun fetch or chew toy, it also hydrates dogs during play. The absorbent foam core soaks up liquid, which is slowly released through the specially designed holes while your dog is playing. The Hugs Hydro Ball can be frozen for extra cooling fun during the hot summer days however please take care if throwing when frozen as the ball will be much heavier. The Hugs Hydro Ball floats for all round water fun. Available in one size only: 6.35cm (2.5") in diameter. Pet water fountains are recommended by vet urinary specialists as they encourage water intake and proper hydration in healthy cats and dogs. With its 3.7l capacity, the Pioneer Big Max Pet Fountain is ideal for the multipet household, as both dogs and cats can drink from the same bowl without the leftover offensive smells and saliva. The water is recycled and cleaned by a replaceable charcoal filter and flows freely into the bowl, ensuring their water retains its freshness. 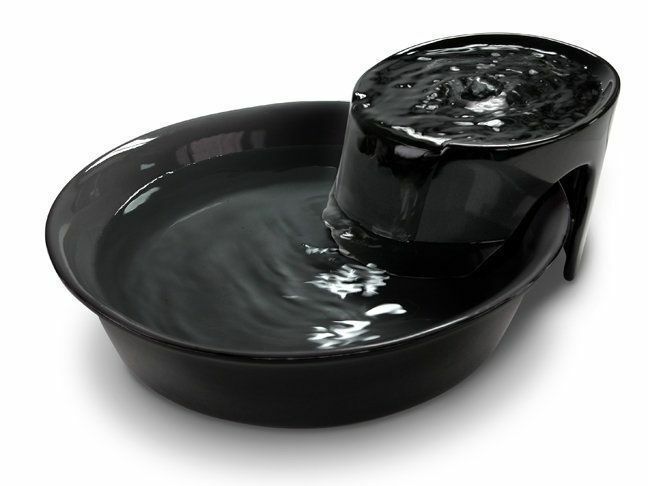 Made from durable black ceramic, the carved design also reduces splashes. The Ants Off raised pet feeding table has been designed with small to medium dogs (and cats) in mind and it is guaranteed to be 100% ant proof. 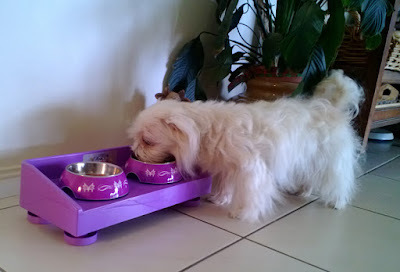 The ergonomic height is ideal for senior pets with arthritis as the strain on their joints whilst bending is eased (most will sit down to eat).The table will accommodate two bowls* (up to 18cm diameter, *not included). It comes with a satchel of long lasting non-toxic ant repellent to place into the leg cups. Available in 2 colours: Purple and Desert Sand.